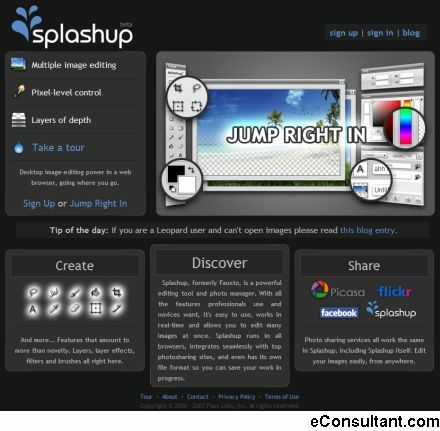 Description : Splashup, formerly Fauxto, is a powerful editing tool and photo manager. With all the features professionals use and novices want, it’s easy to use, works in real-time and allows you to edit many images at once. Splashup runs in all browsers, integrates seamlessly with top photosharing sites, and even has its own file format so you can save your work in progress.